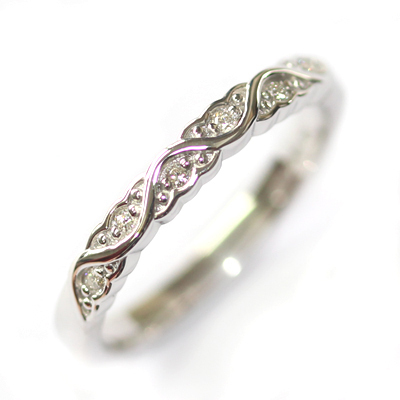 White Gold Diamond Set Wave Wedding Ring with a Scalloped Edge — Form Bespoke Jewellers Ltd. 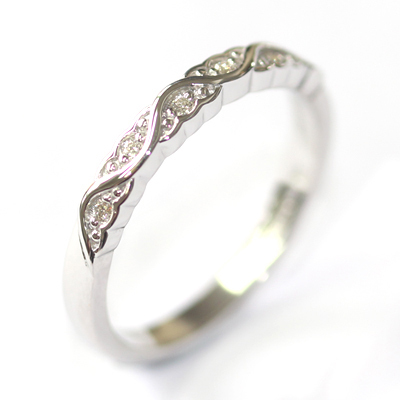 It is the top half of this pretty, white gold, wedding ring which has all the detail. A raised wave design is intersected with petite, round brilliant cut diamonds, each grain set by hand for extra sparkle. Then the diamond detail is also framed by a polished scallop edge. 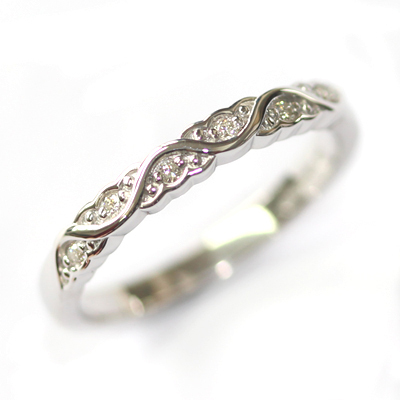 An elegant diamond set wedding ring.